New changes to the services also mean new ways to obtain your licenses. Here's a wrap-up of everything that's changing as of November 26th with the Ministry of Natural Resources system. *Scroll down to read more on each change. The new service will be mobile-friendly allowing residents and non-residents the option to purchase licenses on their mobile device or on their computers. A License Summary will be produced for clients which is a single document that lists the clients fishing and hunting licenses. 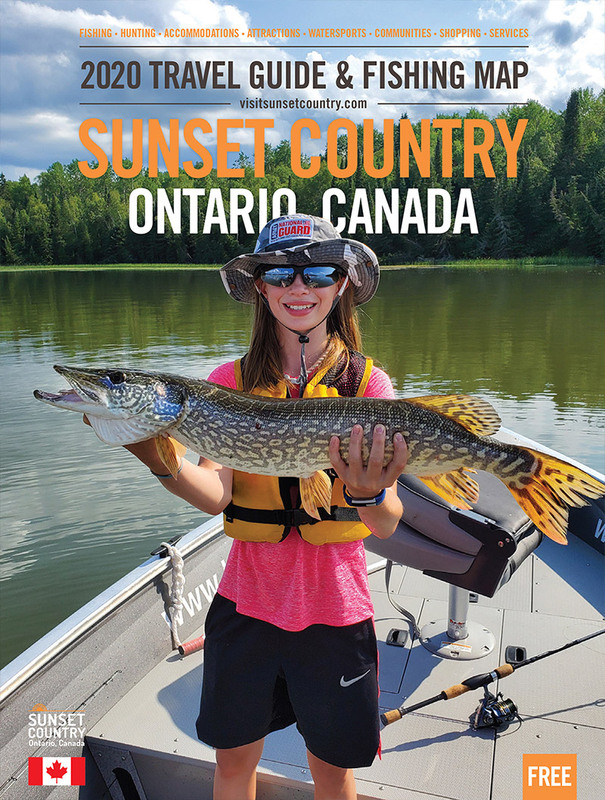 It may be carried as a digital license or as a paper version, meaning that outdoorsmen and women in Ontario have the option to use their phones as valid license references instead of needing printed versions. This is especially handy for non-residents who may not have access to computers or printers once they arrive in Ontario. This new system is trying to reflect the growing demand for mobility and paperless documents. Worried about the changes? See number three. "The new service will align with a modernized sales experience which will make it easier for clients to purchase fishing and hunting licensing products and allow private issuers a more modernized approach for selling them." • Over the internet (including on mobile devices). • In person at one of the private sector license issuers or 66 ServiceOntario locations across Ontario who provide MNRF services. "Hunters and anglers will still be able to buy fishing and hunting licenses quickly and conveniently––online, by ‎calling the ministry’s automated phone line, or ‎in-person at a participating ServiceOntario centre or a private license issuer. The ministry is moving to a single version Outdoors Card and the new service will provide hunters and anglers with a License Summary which is a single document that lists the clients fishing and hunting licenses – it may be carried as a digital license or as a paper version." "There will also be changes to hunter reporting – beginning January 1, 2019, anyone issued a tag for moose, deer, elk, bear, wild turkey and wolf and/or coyote will be required to complete a mandatory hunter report whether or not they harvested anything or participated in hunting activities. This will replace all existing hunter activity and harvest reporting requirements and voluntary hunter questionnaires (sometimes called post-card surveys). The new licensing service will make it easy for hunters to complete their mandatory hunter reports through online and phone channels, as well as sending email reminders to hunters. Information provided by hunters through hunter reporting is important for managing wildlife in Ontario." "The new service will only provide one tag to the hunter who purchased it. The service also has a number of security features built in to indicate when a tag was issued, printed and what information is contained on it. In addition, tags are equipped with document security features to discourage fraudulent activities. It is illegal to alter, modify or copy a tag (except as required for notching the tag)." 'Each tag is still required to be notched with the day, month and time immediately after the kill, at the site of the kill and before moving the animal." "The new service will roll out on November 26, 2018. To ensure a smooth transition from the old system to the new service, there is a no sales period for hunting and fishing licences from November 19 to November 25, 2018." "Regulatory amendments to the Fish and Wildlife Conservation Act will be effective on November 23, 2018 for fishing regulation amendments and January 1, 2019 for hunting regulation amendments." Amendments meaning any changes to the Hunting and Fishing Regulations made in 2018 will come effect on the dates listed above. Non-resident anglers and hunters should have a close look at such changes. Canadian Armed Forces Veteran’s Service Card (NDI 75). In accordance with other deemed licences, veterans and active members of the Canadian Armed Forces will need to follow the seasons, quotas and limits associated with a sport fishing licence. All in all, the major changes we will see is the look of the licensing issuing system and its new mobile-friendly interface. There are no major regulation changes or issuing changes aside from the mandatory reporting. A welcome change for most will be the paperless licenses, especially those who are only here in Ontario for short periods of time. Thankfully though, for those who prefer the old way, it's still very much attainable and will remain mostly unchanged. Just because you will have the ability to do it on a mobile phone come November 26th, does not mean you have to.